Nick Kristoff (New York Times, Sept. 24, 2015) writes today about Pope Francis’ conviction that dogs will go to heaven. That notion, attractive as it is, opens up a host of questions about how we value other creatures as well. 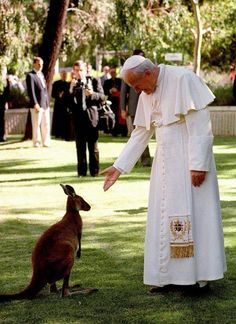 But the article ends with comments from the theologian Charles Camosy who says that he “would have also welcomed Francis’ clarifying our moral obligations to, say, pigs versus mosquitoes.” That is, if farm animals and pets are worthy of kindness and salvation, shouldn’t we grant the same to mosquitoes and other pests? If not, on what grounds? That they don’t feed us or love us? Aside from the question of who goes to heaven—as a non-theist, it is indeed aside to me—what makes all creatures precious, I believe, is not whether they serve humans as pets and livestock do, nor even whether they have the capacity to suffer. It is the reality that we are all living things. We—all animals and even plants—are precious because we are born, we struggle (the sentient ones suffer pain, the non-sentient, such as mosquitoes and plants, experience weakness, injury, disease) and we die. These are the criteria that should call forth our care towards living things great and small, not whether they serve humankind or go to heaven. I suspect that Francis probably shares this outlook to an extent, in the context of his theology, for he is passionate about our responsibility for nature. The quotation above suggests as much. Perhaps in the future he will extend his blessing of pets and livestock to other or even all living things, in his thoughtful, gentle way. This entry was posted in Morality, Religion and tagged heaven, Pope Francis. Bookmark the permalink.